As you may know darlings, we have recently set up the Australian Fashion Bloggers Union with an aim to support and strengthen the local fashion blogging community. 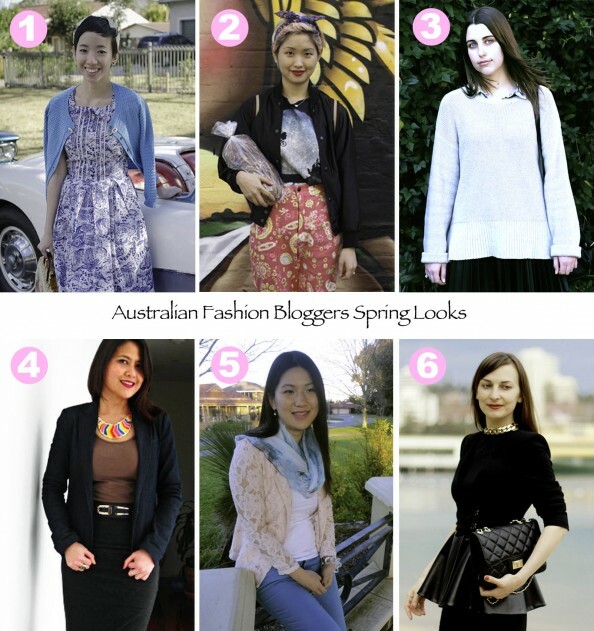 As a part of this, I thought of creating a weekly (or maybe fortnightly, depends how we go) feature on this blog showcasing, you guessed it – Australian Fashion Bloggers! In this first post we show the best outfits of the first week of spring. I’m currently working on a proper styling/fashion challenge for us all to undertake. So stay tuned for more details and for now have a look what our Aussie fashionistas were up to this week! Hope you enjoyed this post darlings! Your comments and thoughts are welcome – DO let me know if you liked (or didn’t like) this post!!! such a fantastic idea, great way to support bloggers as well as show some outfit inspiration! nice!